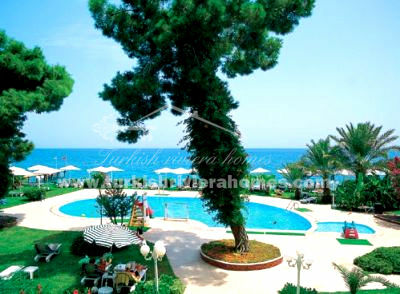 This beautiful Hotel in Kemer offers an exciting investment opportunity. 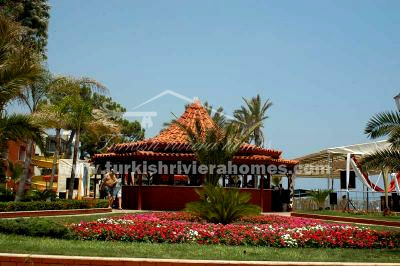 It is located right on the seafront with its own beach and within walking distance to shops, cafes and bars. 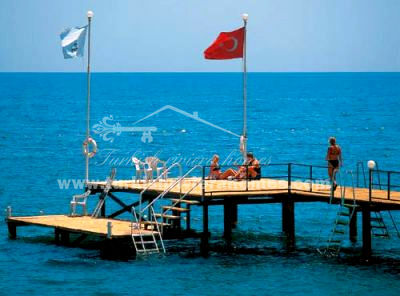 Distance to Kemer town is 20 km, to the airport 37 km, to center of Antalya 25 km. 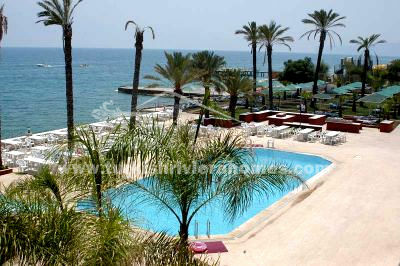 The hotel has 200 rooms, mostly with sea panoramas plus mountain vistas and pool views. 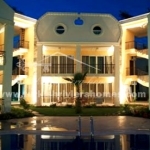 All rooms are air conditioned and have showers, hair dryers, direct-dial telephone and satellite TV. There are also rooms for the disabled. 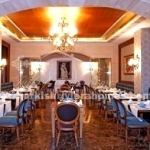 There is a conference hall and a restaurant seating 200 people. 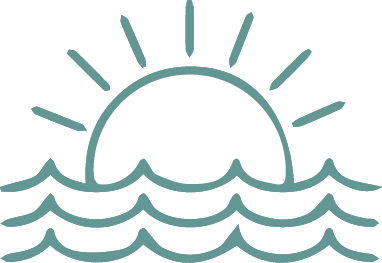 During the summer months the restaurant caters for up to 400 additional covers in an area around the swimming pool. 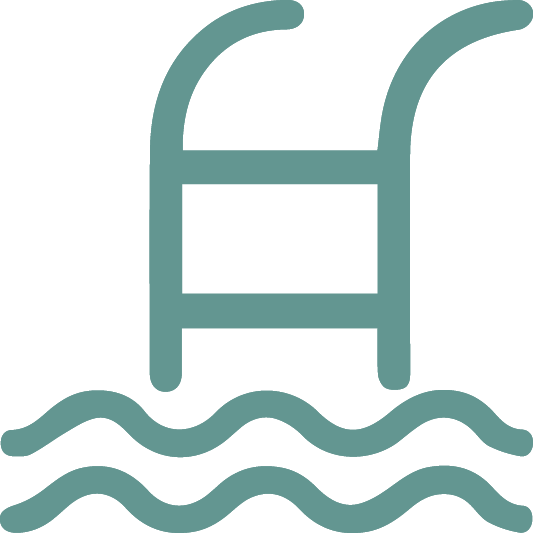 Set within a beautiful, landscaped area, the hotel has many facilities allowing it to operate year round; these facilities include two outdoor swimming pools, two children’s pools, water slides, one indoor pool, a children’s playground, table tennis, billiards and a popular disco. 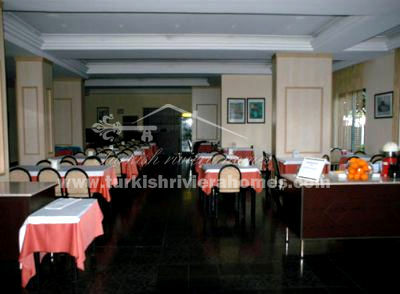 In the recreation center there is a gym, sauna and Turkish bath. There is a doctor services, hairdresser and a photographer’s studio. 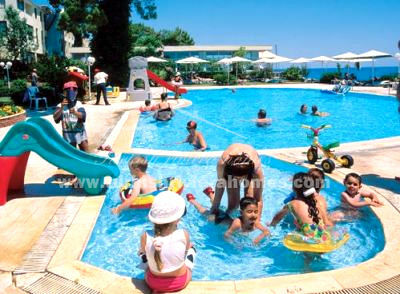 During the summer of 2012, despite the special incentives offered by Spain and Greece, Antalya attracted approximately 11 million foreign tourists. Every year the number of tourists in the Antalya region increases by at least 2% making the hotel business in Antalya and particularly Kemer undoubtedly the main and most profitable of industries and with a competent marketing policy your investment can become the ultimate success.